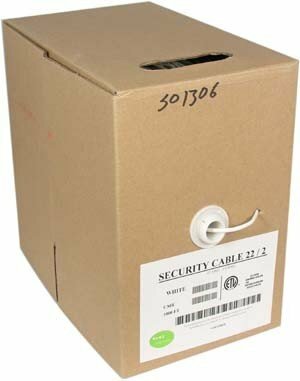 Find a wide variety of Security Sensor Wires at SF Cable. This product category includes stranded security wire, solid security wire and other types of security sensor wires. We offer high quality wires at the lowest prices. We also ensure 100% customer satisfaction on all our security sensor wires by offering lifetime technical support and warranty on our wires and cables. Get different types of sensor wires for security. You can choose as per your cabling needs. All our wires are environment friendly and RoHS compliant.